Industrial fabrication services allows you to obtain specialist equipment to ensure the safety and security of your employees. This is precisely why All About Lifting & Safety utilises the acceptable industry practices every time a unit is sent across to the client. These areas of safety and quality include certification and standards, quality assurance and an overall emphasis on agility and efficiency. All About Lifting & Safety places great emphasis on engineering the industrial fabrication of its products, services and personnel. We take immense pride in the leaps we have made over the years. We help clients craft customised equipment, keeping in mind the specifications and safety procedures that need to be deployed. We have decades of experience in the domain of industrial fabrication services in metals – including steel and alloys. 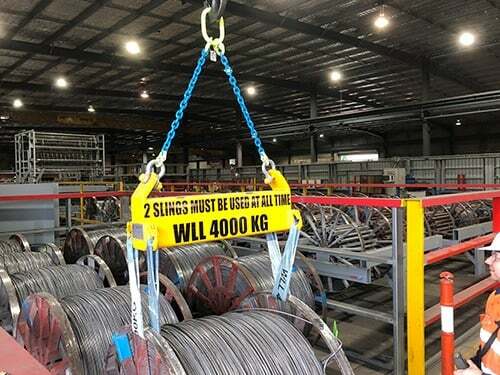 All About Lifting & Safety helps build your products exactly the way you want them. We can offer you 2D and 3D design consultation services, as well as cutting, shearing and notching to mould the design in a custom shape. When it comes to folding, we have all the necessary machinery, craftsman and techniques to help you in this regard. With the top notch section fabrication, pressing, punching, rolling, drilling as well as TIG and MIG welding facilities, you can be sure that you’ll get the best engineering and industrial fabrication services in Australia. Our technology has helped us to design and manufacture industrial grade steel frames and trusses for industrial and commercial purposes. These include a diverse array of industries – including mining, energy and civil engineering. We offer a high degree of professionalism and customer satisfaction at a competitive price. Our success has been highly commended because of the QC/ QA processes we undertake to ensure the quality of our products before they reach our clients. For instance, we place great emphasis on high-level precision and consistency, limiting our rejection rate to less than 1% on all the products we manufacture. The critical quality practices we undertake for industrial fabrication are well defined and embedded into the culture of All About Lifting & Safety. This has helped us to reduce costs and inefficiencies, but also ensure consistent and high-quality results. Meanwhile, we also work closely with our client to ensure that all industry oriented requirements are met. Though we have many ongoing of projects, based on our industrial efficiency there is always space to accommodate more. We welcome one-time industrial fabrication projects, as well as ongoing medium-sized production fabrication. For assistance with industrial fabrication services, please feel free to contact us.